Have you ever seen a waterfall that consists of 12 levels? If not, you should visit Tonusu village, North Pamona sub-district, Poso District, Indonesia. The name of the waterfall is Saluopa. The levels mentioned here are the ladder of natural stones from one level to the next level. 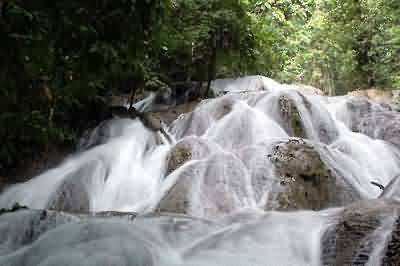 Saluopa waterfall is one of the interesting tourism objects in the province of Central Sulawesi. 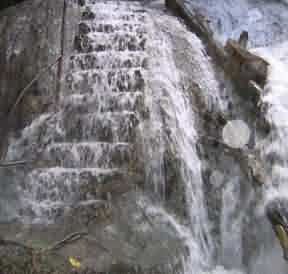 This waterfall consists of 12 levels. From one level to the next level there are stairs from the stone, making it easier for visitors to get to the top of the waterfall. There are some natural pools with very clear water in the bottom of this waterfall. 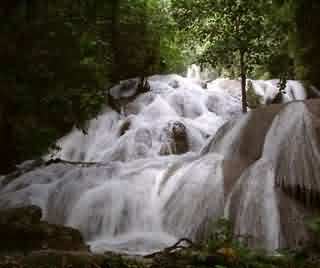 In the vicinity of the waterfall there is also a tropical forest with diverse fauna live in it. As we passed this tropical forest, visitors will hear the sounds of animals and birds with a melodious singing. In addition to tropical forests, in some locations there is also a small bridge to cross on the way to the waterfall location. We can hear beatiful sound of the birds singing, along with the thundering voice of waterfall, while enjoying clear water at the pool. The water is so pure that we can see the stones in the bottom of the pool clearly. Sometimes between the spray, the rainbow appeared dazzling with beautiful colors. Saluopa Waterfall located in the western town of Tentena, the capital of North Pamona sub-district, Poso district, Central Sulawesi. It’s about 12 km west of the City Tentena. Tentena town, capital of North Pamona district, located about 54 km from the town of Poso, or about 258 km in the city of Palu, the capital city of Central Sulawesi Province. From Palu to the City of Tentena can be done by using four-wheels drive or two-wheels vehicle in about 7 hours. Muara Angke, Really in Jakarta?